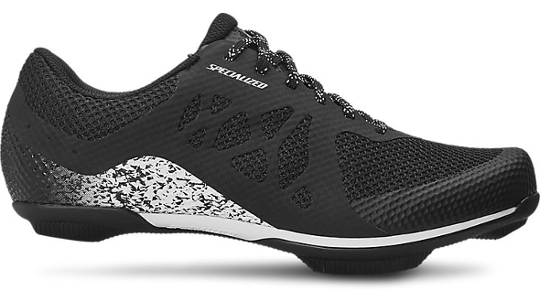 Specialized designed the Women's remix shoes to provide true versatility for all your different types of cycling training. Adaptable to MTB and spin class pedals these shoes provide all-purpose performance that can also be used on road. Designed with a welded mesh-upper which provides high levels of breathability to help keep your feet cool in hot conditions as well as removing the chance of irritation from stitching. Lace design means that you choose the tightness and can design the fit to how you might prefer best for your comfort. The insole found inside the remix comes from Specialized's Body Geometry technology that has been proven to increase power transfer as well as reduce the chance of injury by ensuring hip, knee and foot joints are aligned. 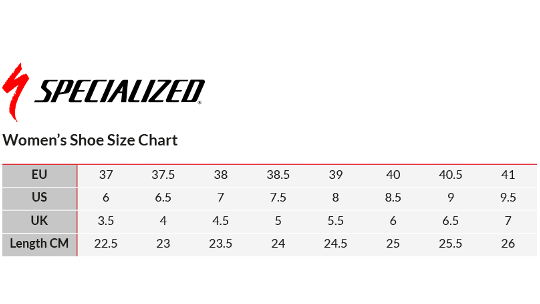 Body Geometry sole construction and footbeds are ergonomically designed and scientifically tested to boost power, increase efficiency, and reduce the chance of injury by optimizing hip, knee, and foot alignment. The two-bolt system fits SPD and all mountain pedals, making them perfect for spin class and road riding.